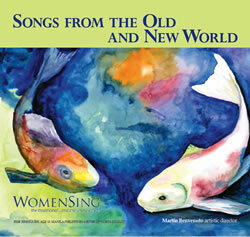 Travel with WomenSing between the old world and the new. Journey from Liechtenstein to Australia, from the traditional to the contemporary, with compositions that will inspire and move you. Celebrate the holidays along the way with pieces that evoke the snow white purity and joy of the season. The New World brings Youth Inspiring Youth award-winning compositions A Precious Pearl by Lauren McLaren, Wit and Fright by Ryan Harper, Unseen Secrets by Joshua Fishbein (listen to some music clips below). We feature Bright Morning Stars Are Rising, arranged by Shawn Kirchner and commissioned by WomenSing to celebrate Martín Benvenuto’s 10th season as our Artistic Director. From the lively joy of Derek Holman’s Proface, welcome! 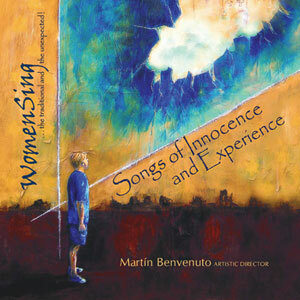 to the ethereal beauty of Christine Donkin’s Magnificat, we are proud to present our Songs from the Old and New World. Listen to rousing gospel songs, an eloquent arrangement of the hymn Amazing Grace by Ron Jeffers, Vivaldi’s spirited Beatus Vir accompanied by the Jubilate Orchestra strings, contemporary works by composers such as Andrew Carter, Otmar Mácha, and WomenSing’s commissioned work by Libby Larsen. As its title suggests, the emotions portrayed will run the gamut as well: from the mystery of Annunciation to the menacing meandering of The Wendigo; from the full range experience of love fulfilled in the sensual Nigra Sum by Catalunyan composer Pau Casals, to the dreamy lilting of the Canadian folk tune Away From the Roll of the Sea.